Serve these poached pears as-is or with a dollop of whipped cream. You can also try them spooned them over ice cream or sponge cake. They make a wonderful morning treat or an excellent dessert, with the pears' sweetness nicely balanced by the tart orange juice. Peel pears then cut into ​halves or quarters and cut out cores. In a saucepan, heat the sugar, orange juice and water over medium heat. Add the pears and bring to a simmer. Reduce heat to low, cover and continue simmering for 15 minutes, or until the pears are tender. 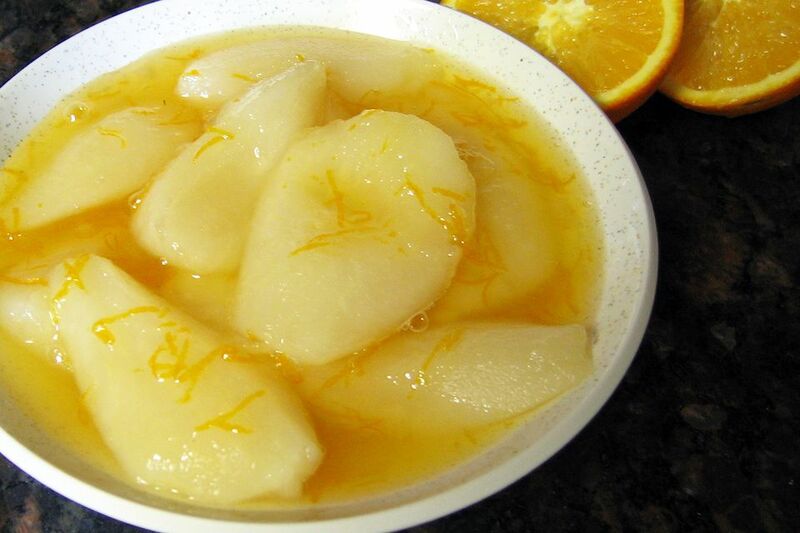 Remove the pears and add the orange zest. Simmer the syrup for 5 minutes longer, then combine the pears and syrup and chill thoroughly.